Researchers at Idaho National Laboratory (INL) have created a new fuel cell that generates clean, efficient electricity using solid carbon sources like coal and biomass. 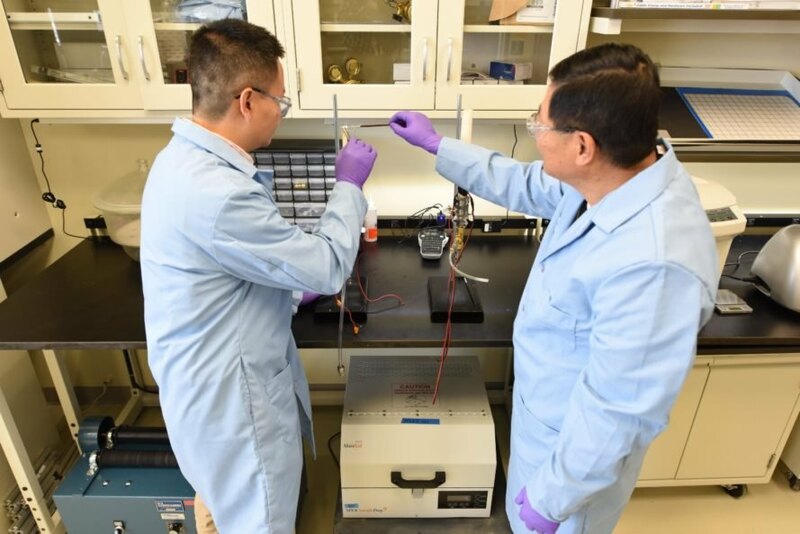 According to INL materials engineer Dong Ding, the direct carbon fuel cell (DCFC) runs at lower temperatures and produces higher maximum power densities than previous designs – and it could revolutionize carbon capture technology. While hydrogen fuel cells have made news lately for their promise to produce clean, efficient energy, DCFCs offers the advantage of being able to utilize readily-available fuel sources, such as coal, organic waste, and biomass. “You can skip the energy-intensive step of producing hydrogen,” Ding told Phys.org. However, there are disadvantages in traditional DCFC designs. They have historically required high temperatures to function, which in turn requires expensive materials that are able to withstand such heat. The most recent DCFC design from INL addresses these problems. To deal with the necessary high temperatures, the researchers developed an electrolyte with doped cerium oxide and carbonate, highly conductive materials that can perform under lower temperatures. To increase the efficiency of the fuel cell, the researchers created a 3-D ceramic textile anode that is woven like cloth and maximizes the surface area available for carbon fuel chemical reactions. The design also incorporates a molten carbonate-carbon composite fuel, which allows for better flow. “At the operating temperature, that composite is fluidlike,” Ding said. “It can easily flow into the interface.” Because DCFCs produce pure carbon dioxide without other pollutants, Ding believes it would be much easier to include carbon capture technology into the design. While a shift to carbon-free renewable energy is necessary to mitigate climate change, this new DCFC technology may ease the transition. The direct carbon fuel cell (DCFC) was described in a study published this week in the journal Advanced Materials. Colleagues at the Idaho National Laboratory conduct tests to determine the effectiveness of their new fuel cell technology. An image of the 3D printed fuel cell. Scientist Dong Ding checks his equipment at the Idaho National Laboratory.